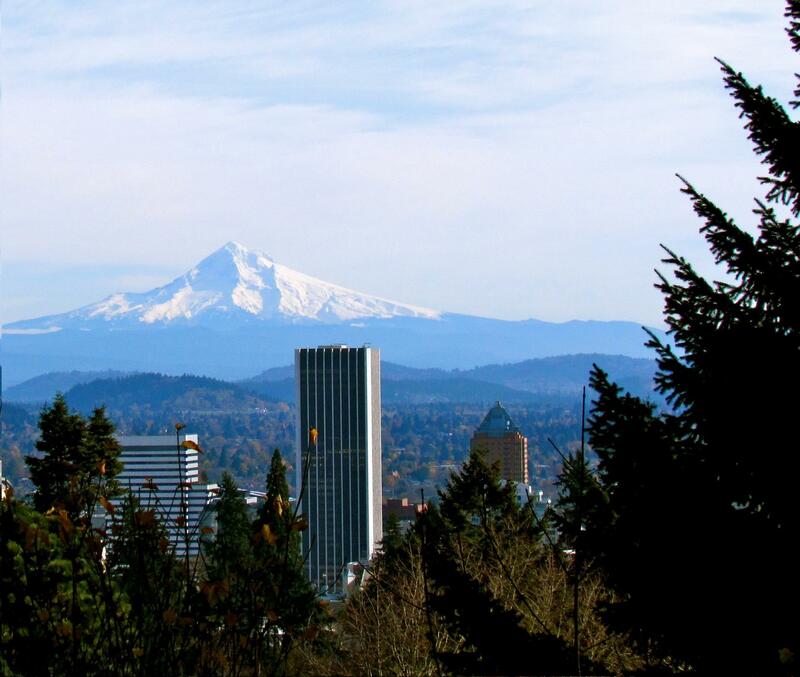 Oregon's largest city and the Multnomah County seat, Portland is an economic powerhouse and cultural mecca for the greater region, known for its award-winning historic districts, superb shopping and dining, and flourishing arts scene. 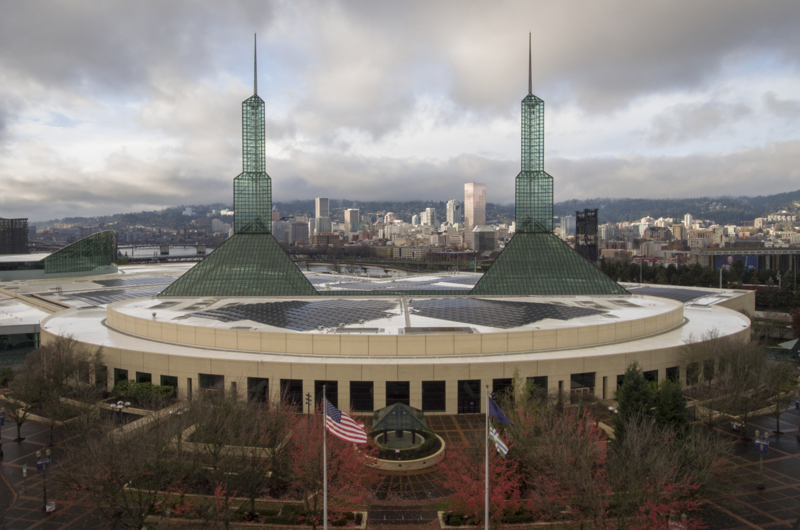 With a population of over 600,000 (and a count of almost 3 million residents in the greater metropolitan area), Portland is the second only to Seattle in size among Pacific Northwestern communities. Dense living and a world-class transportation system encourage affordable and healthy lifestyles. Along with the extreme walkability (with most of the city qualifying as a "20 minute neighborhood"), the premeability of Portland lends itself to fantastic community life with events happening nearly every day of the year. Art, fitness, hobby, academic, and professional groups thrive in this urban center. One of Money Magazine's "Top 6 Big Cities," Portland has a great standard of living with housing costs remaining lower than those of most west coast cities. Covering about 145.4 square miles (about 7.6% of which is water), Portland sits in the Willamette Valley at the confluence of the Willamette and Columbia rivers. The Columbia River flows westward between northern Oregon and Washington to the Pacific at Warrenton (about 90 miles west of Portland), and the Columbia River Scenic Highway just out of the city takes drivers through some of Oregon's most spectacular terrain, past river beaches, scenic outlooks, and waterfalls--including Multnomah Falls, the second largest in the country. The Willamette River runs northsouth through Oregon's picturesque Willamette Valley, rich in vineyards, fruit and nut orchards, and farms. Mt Hood is about 70 miles east of Portland, and is tall enough to offer superb year round skiing; the Beautiful Hood River flows from the mountain to the Columbia River. 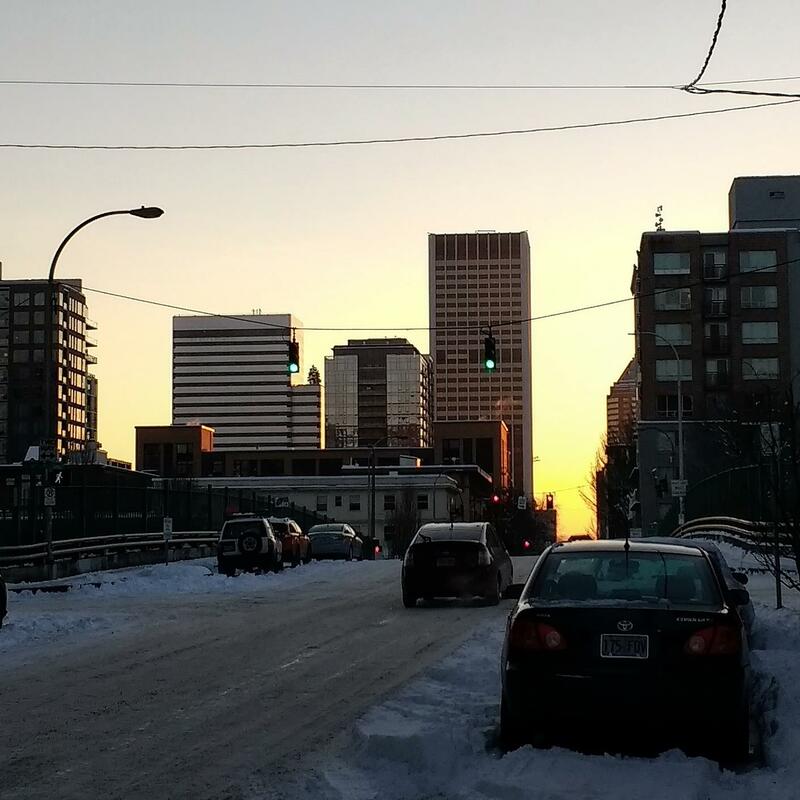 While Portland is relatively flat, the city sits between the stunning Coast Range to the west and the majestic Cascade Range to the east; this geographical protection is responsible for the city's mild climate. 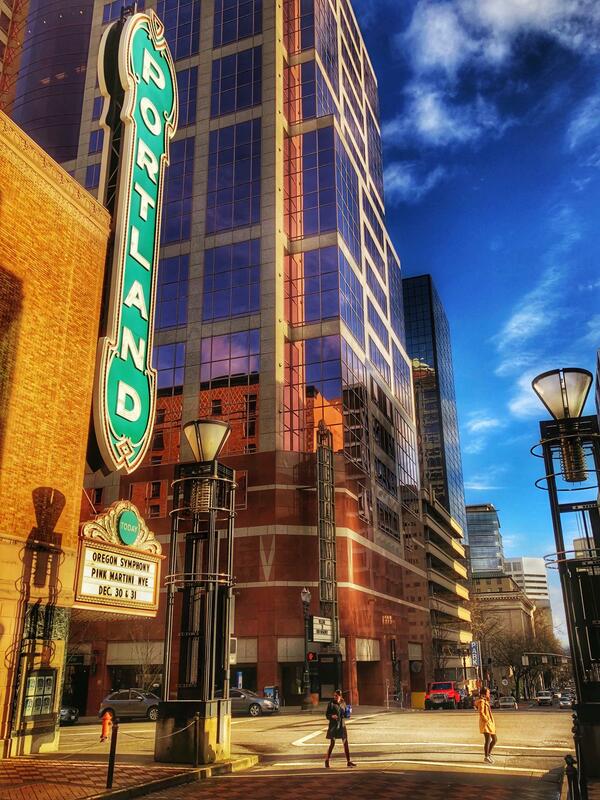 An economic powerhouse for the wider region, Portland is a highly prosperous city with a flourishing and diverse local arts scene and great public amenities. Computer software, high-tech, and IT companies comprise a large chunk of the city's economic profile, alongside health, education and local government bodies (including Kaiser Permanente, OHSU, Blue Cross, and Portland Community College). Anderson Construction is another major employer, along with other construction and development groups. Many residents of Portland work for the larger employers located in Hillsboro and Beaverton, thanks to the attraction of portland and the excellent connectivity in the metro area. The Portland Business Alliance liaises with other regional business and governmental bodies to maintain and build on the region's economic prosperity and foster a culture of cooperation and partnership. Currently one of the most sought after cities to live in the nation, Portland has a dynamic housing climate, with real estate (particularly those homes priced under $500,000) tending to sell extremely rapidly. 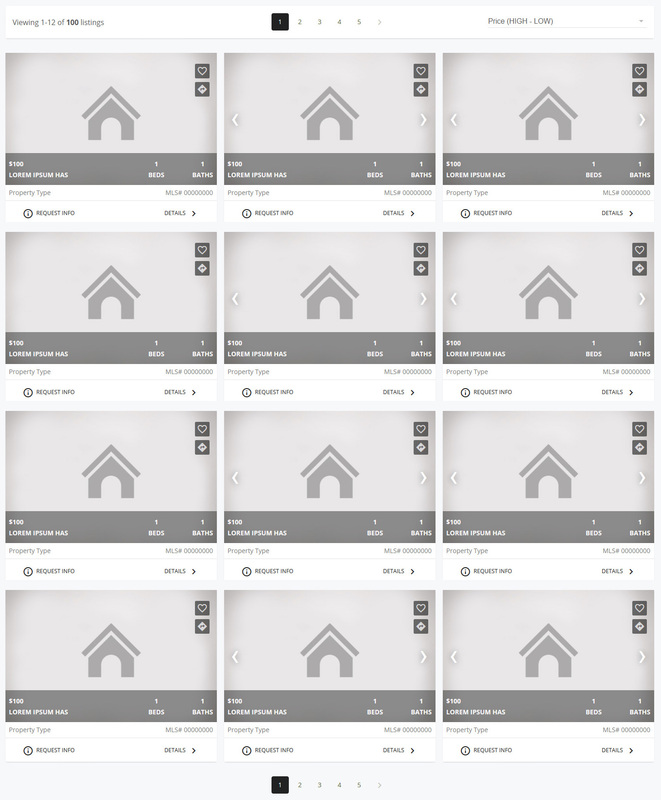 The median sale price is rising nicely with every passing year and is currently at about $400,000. 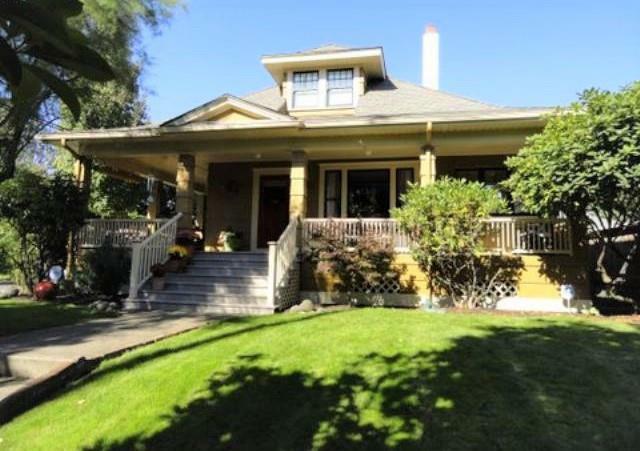 With so many historic homes, Portland is a great place to buy and renovate a classic, particularly in East Portland where fantastic older villas and the like are still very affordable and neighborhoods feature friendly coffee houses, great local eateries, natural foods stores, and one-of-a-kind shops. For those looking for more modern accommodation there is plenty to choose from, from downtown apartment complexes to comfortable ranch homes in the outer suburbs. 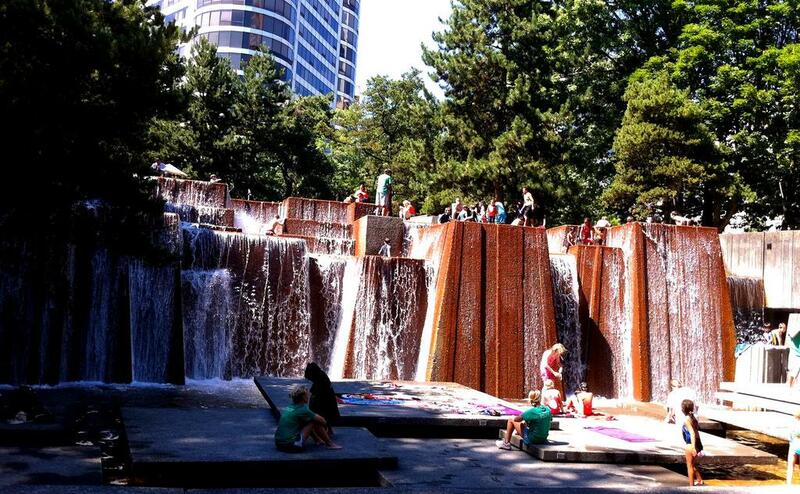 A gorgeous city with ample parks and gardens, Portland benefits from its closeness to some of Oregon's most beautiful wilderness areas and offers its citizens much in the way of recreational pursuits. Some of the nicest spots in the city include the International Rose Test Garden in west Portland's Washington Park, which has over 400 varieties of roses. Another favorite is the Japanese Garden, which is recognized to be the most authentic ceremonial garden outside of Japan. 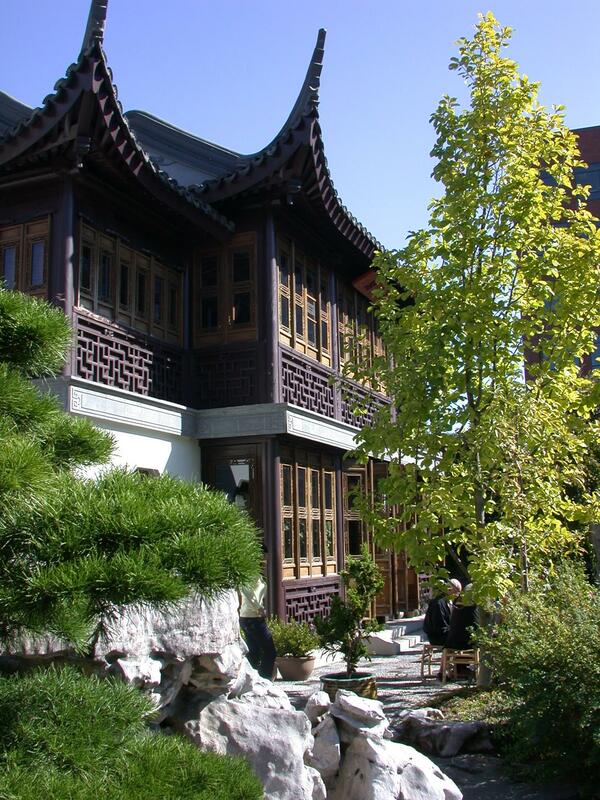 For a time of restoration, within the Chinatown area of Portland lies the Garden of Awakening Orchid Chinese Garden, which is a refreshing retreat for the soul; rain or shine, it is lovely. The Crystal Springs Rhododendron Garden at the Reed College campus covers seven acres and includes a beautiful lake, and The Grotto's upper and lower level gardens offer peaceful walkways and structures for contemplation. Nearby parks and wilderness areas include the stunning 240-acre Oregon Garden, which is about forty miles south of Portland and features a range of lovely gardens as well as the only house in Oregon designed by Frank Lloyd Wright. The ocean is about 80 miles west of Portland, and the Willamette and Columbia rivers meet at the city, so boating and a wide range of water sports are easily enjoyed here. The Hood River, about an hour east of the city, is a popular place to windsurf and kiteboard, and Mt Hood is just 90 minutes away by car, making year-round snow sports part of the Portland lifestyle. Oregon is known country-wide for its beauty and many of its 230 state parks are within a day of Portland, bringing camping, hiking, fishing and hunting to your doorstep. Voted America's "Most Bicycle Friendly City" by the League of American Bicyclists, Portland has miles of jogging and bike trails, greatly benefiting the outdoor-orientated local culture. Golf is another beloved pastime here, and there are 41 18-hole courses in the metropolitan area alone. Renowned tournaments like the Jeld-Wen Tradition and the Safeway Classic draw professional competitors from around the globe. Named one of the nation's "Top 25 Arts Destinations" by American Style Magazine, Portland has a profusion of galleries, theaters, dance companies and music venues. No matter where you are in Portland, you're never far from an art house, cinema, performance space or gallery. The Portland Art Museum is one of the best and largest in the country and the Performing Arts Center is another large venue, home to eight companies and host to many exciting touring acts. Over ten local community theaters help keep it real with both avant-garde and mainstream productions, and artist's studios abound. Areas like Alberta Street showcase new local art works in their cafes, galleries and bars, while downtown Portland's art galleries host works in a more formal setting. Special interest communities also thrive including maker/hacker spaces, Portland pinball culture, and anything else that a group of people decide fits with the famous sentiment, "keep Portland weird!" Sailors and explorers were the first Europeans to use what was to become Portland. Calling the region "The Clearing" (it was surrounded by forest), they would stop and rest here on their trips north to Fort Vancouver and Oregon City. In 1843 a William Overton visited and saw the commercial potential of logging here, and he filed a land claim with his partner Asa Lovejoy from Massachusetts. The tough work of clearing trees and building roads soon became too much for Overton, and he sold his half of the claim to Francis Pettygrove, a settler from Maine. Pettygrove and Lovejoy founded Portland in 1851. Both men wanted to name the new city after their respective hometowns of Boston and Portland and tossed a coin (now known as the "Portland Penny") to settle the matter. Needless to say, Pettygrove won! Portland soon became a major deepwater port for the Pacific Northwest and a primary hub for the logging industry. Shanghaiing was also a primary source of income for some unscrupulous residents, who kidnapped men and sold them to sea captains to work the sailing ships; from about 1850 to 1941 Portland was widely known as the "Unheavenly City" because of it. In Portland's earliest days tunnels were built beneath the city streets, linking goods cellars with the river, and kidnappers built trapdoors into these. After dropping unsuspecting victims into the tunnels, they would hold them prisoner before loading them onto the ships. Today, those tunnels are open for tours. As the lumber industry bought more wealth to Portland the economy stabilized, and by the turn of the century the city was increasingly more respectable. Local lumber baron Simon Benson built 20 elegant freshwater drinking fountains downtown after discovering that the men in his mill drank beer for want of drinking water. Beer consumption in the city reportedly decreased by 25 percent after the fountains were installed and these charming "Benson Bubblers" are still in use today.